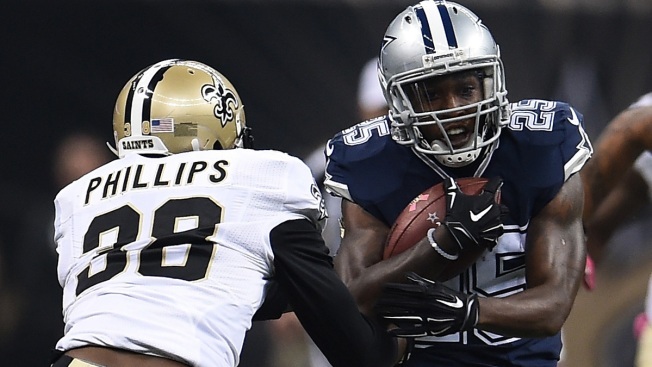 Dallas Cowboys free agent running back Lance Dunbar continues his look around free agency. Dunbar has already visited the San Francisco 49ers, and next he’ll meet with the Niners’ most hated NFC West rival, the Seattle Seahawks. ESPN’s Adam Caplan reported the visit on Sunday. Dunbar has become a kind of pass-catching specialist out of the backfield under Scott Linehan, who has essentially put Dunbar in the same role he filled with Reggie Bush in Detroit—and it was a role Dunbar was thriving in last year until a torn ACL ended his season in Week 4. To wit, Dunbar only had five carries and 67 yards rushing before going down, but he had 21 catches for 215 yards, which almost equaled his receiving total from 2014.